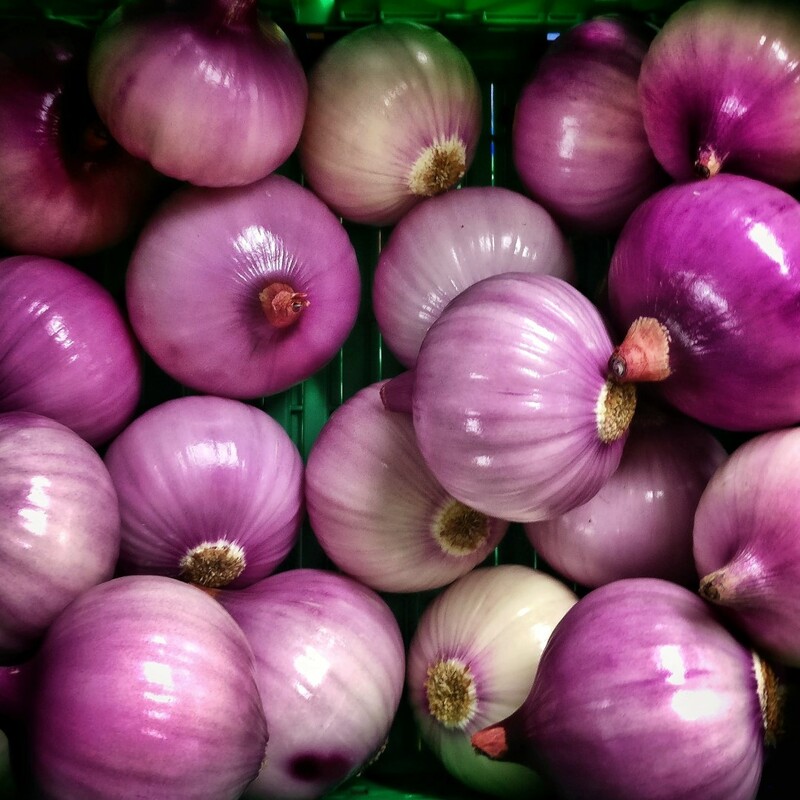 We've supplied truly sweet onions for many years now, but never a sweet red variety. This week sees the first red sweet to come out of Moulton Bulb.Grown in Bedfordshire, these onions are specifically bread for their taste and ideal for eating raw. Cooking onions destroys a lot of their flavour but raw onions can often be too strong for some people. This is why sweet onions fills the gap for people who love the taste of onions, want all the health benefits from eating raw, but can find standard onions a little overpowering. We're even peeled them for you, as the skins on sweet onions can be quite fragile, we think that peeling them gives a fresh look and the pink colour is rally vivid and will liven up any boring green salad. Use raw in salads of sandwiches for that oniony kick without blowing your taste buds.